If you wear dentures, you understand the importance of having a confident, healthy, functional smile. Our practice provides personalized denture services to meet your needs and ensure your comfort. You are as unique as your smile, as we create one-of-a-kind dentures that feel great and look natural. Dentures are natural-looking replacement teeth created by our prosthodontist that are removable. There are two types of dentures: full and partial. Full dentures are given to patients when all of the natural teeth have been removed. Conventional full dentures are placed after the gum tissue has healed which can take several months. Immediate full dentures are placed immediately after the teeth have been removed and may require frequent adjustments during the first couple of months of use. Dentures are not for everyone. If you’re interested in learning more about dentures, and want to know if they are the right choice for you, please schedule an appointment. 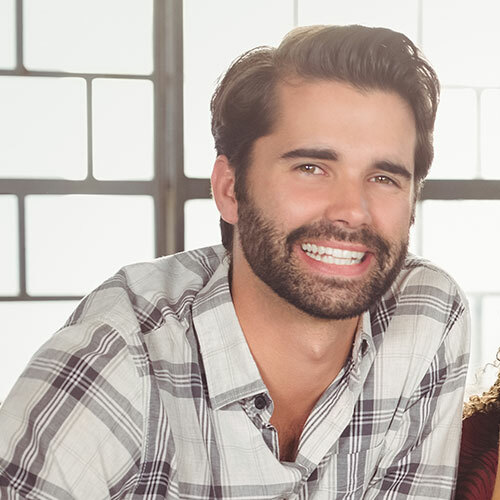 Our prosthodontist will be happy to answer any questions you might have, and can determine the best course of treatment for your ongoing dental health. Your dentures are not immune from plaque and tartar build-up, so it’s important that you brush your dentures every day. To brush your dentures, use a soft-bristled brush and gently brush the surfaces of the dentures being careful not to break or bend the plastic. In between brushings, it’s important to rinse your dentures after each meal. If by chance your dentures do break, please contact our practice and schedule an appointment as soon as possible. Broken dentures that don’t fit properly can cause irritation to your gums and mouth.